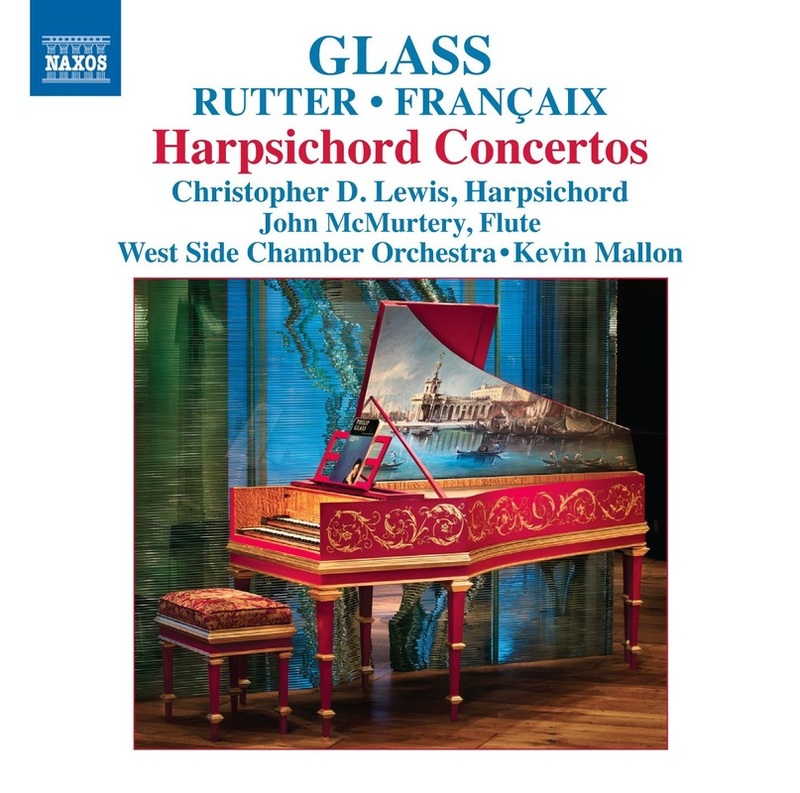 ​“What a great disc this is: three delightful contemporary works for harpsichord and orchestra, easy on the ear, but clever and consistently interesting"
“One couldn’t ask for better soloists than flautist John McMurtery and harpsichordist Christopher Lewis, who deliver virtuoso performances tempered with a lightness of touch suited to these scores"
“Typically adventurous, Naxos programmes Rutter’s pastoral prettiness with Glass’s insistent dancing patterns and Françaix’s lissom, quirky lyricism"
Attracted by a delightful fusion of early music sonorities with modern expressiveness, the three composers in this amazingly rich and varied programme build on the magnificent harpsichord concerto legacy of J. S. Bach. John Rutter’s beautiful Suite Antique is full of rich and haunting themes, with a significant solo flute part and a jazzy Waltz which is as much Brubeck as Bach. Philip Glass delivers an exciting experience of virtuoso instrumental blending and solo expressiveness, and with typical wit and elegance. Jean Françaix’s Concerto is terrific fun throughout. This particularly vibrant programme brings together three highly attractive concertos from composers whose names guarantee wide audience appeal. John Rutter’s beautiful score is a real hit, Philip Glass’s concerto has only appeared on his Orange Mountain label, and the Françaix work is now virtually unobtainable on CD. Appearing here in his Naxos debut, Christopher D. Lewis is a young and rising star who is particularly known for his work in contemporary harpsichord repertoire. Kevin Mallon is an established Naxos artist and renowned for his excellent recordings of early Classical and Baroque repertoire. Mallon’s expertise with both chamber forces and the harpsichord suits this more contemporary programme perfectly. 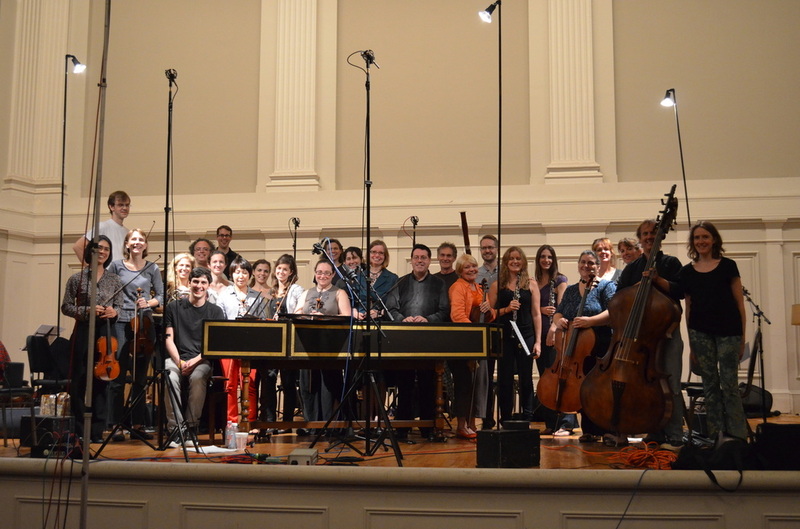 Christopher D. Lewis with The West Side Chamber Orchestra, recording Harpsichord Concertos for Naxos Records, Manhattan, New York, 2012.